The Natural History Museum is a large and famous museum in South Kensington, London. The Natural History Musesum is one of three large museums in the area, along with the Science Museum and the Victoria and Albert Museum). 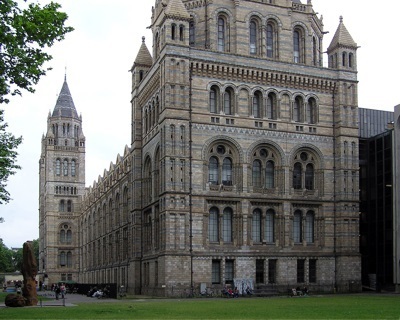 The Natural History Museum was began by famous naturalist Sir Richard Owen, originally as an extension to the British Museum. Today, the Natural History Museum houses a collection of more than 70 million specimens (including some collected by Charles Darwin) and is a world famous center of research.